This year’s Earth Day is centered around the theme “one billion acts of green,” which promotes individuals to make simple environmentally friendly changes. It encourages people to reduce their carbon footprint by switching off lightbulbs and walking short distances rather than getting in their cars. We’ve heard this a million times, though. Riding your bike a few times a week or refilling the same water bottle sometimes doesn’t make you feel that your actions are making a huge change for the planet, right? Instead of feeling like it doesn’t make a difference for the globe, think about the difference in your wallet. 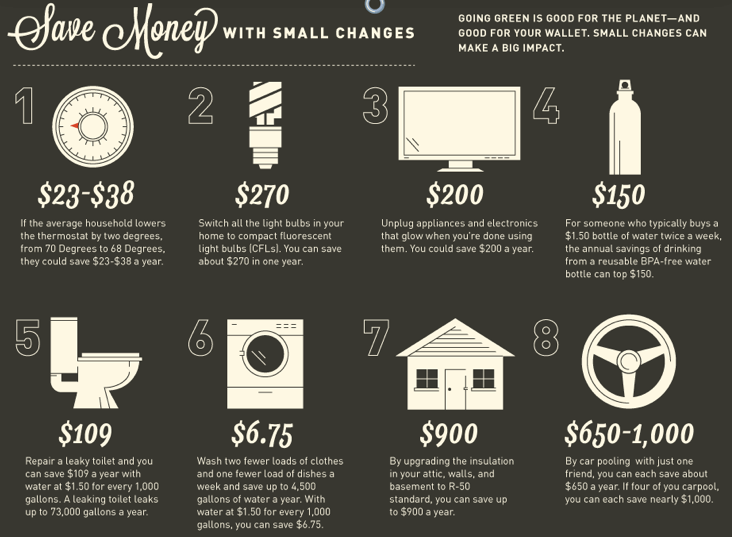 Insignificant acts of “green” directly impact your daily expenses. P3R Publicity is a full-service PR firm based in Los Angeles servicing fashion, hospitality, consumer goods, non-profits, talent and lifestyle brands. Visit us at www.myp3r.com. Every Day is Earth Day! All you have to do is “Feel” like your contributing and it will happen!